NOTE: Naloxone administration should be to improve respirations in an unresponsive patient with a hypoventilation condition, and not to awaken an unconscious patient. It should be given slowly to titrate to effect. Narcan can precipitate narcotic withdrawal, with all of its problems. 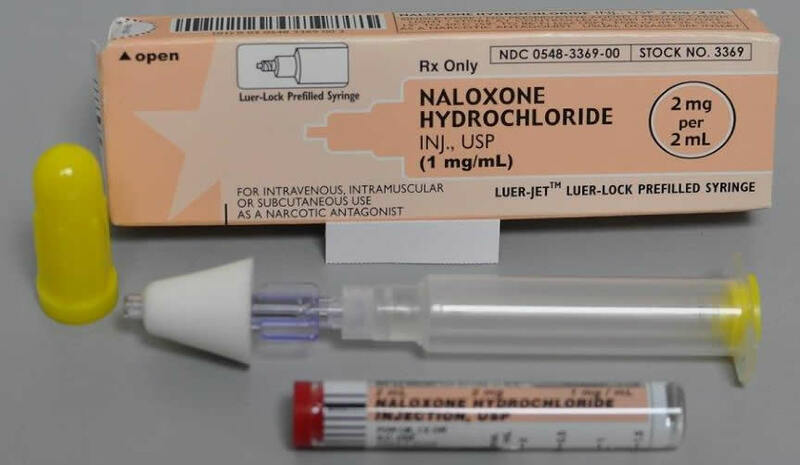 If the patient has a pulse, Naloxone should be given before intubation. After administration of Naloxone, patient transport by EMS is encouraged, even if patient becomes responsive. If respirations don’t improve after 3 minutes, establish IV and administer 2 mg slow IV. Repeat doses may be given. Or 4 mg IM. Titrate to adequate respirations. Naloxone slow IV is preferred, but it may be given IN before IV is established. If using IN route and respirations don’t improve after 3 minutes, establish IV and administer IV dose. Use with caution in narcotic-dependent patients who may experience withdrawal syndrome (including neonates of narcotic-dependent mothers). Caution should be exercised when administering to narcotic addicts (may precipitate withdrawal with hypertension, tachycardia and combative behavior).